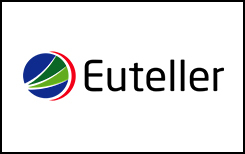 Name Euteller stands for a company from Finland that provides local and international clients with up-to-date online money transfers. The company works on European financial market since 2007 and is controlled by the laws of Finnish Financial Supervisory Authority. despite the fact that Euteller works internationally, most of its clients are from Finland. In other countries each bank has its own online banking but in Finland eight main financial structures or banks can be connected with one common online banking service – Euteller. Doesn’t matter if you’re client of Säästöpankki or LähiTapiola you may purchase anything in any online store using one Euteller account, or play online casino, for example. The payments are made without any possibility of scam actions because of high anonymity levels and the data you enter in registration can’t be seen by the seller online. The provider of the services or products only receive the money without information you wouldn’t like them to see. Actually the word “registration” does not quite meet the concept of Euteller, because the client just enter this payment system and to transfer money online chooses one bank from a list. And after that the customer is redirected to the actual bank for approving the transfer. If you want to make a transaction to any other card of any world bank, Euteller provides you with such an opportunity as well. Online casinos and Euteller: how to deposit? The process of funding your account when you work with Euteller is very similar to those you ever met before. Once you’re on the page for payments in online casino just look at the online banking category and choose Euteller from the list below. The next step is redirecting to the bank you need to transfer money from, once you choose it you must approve the payment. The process takes no time at all since the payment is absolutely digital, once Euteller gats your approval you can use money in casino or anywhere else online. Usually for depositing from any online wallets or “online banks” casinos charge no extra costs, but in case of Euteller you must pay about 2%. However, that depends on the casino itself, some casinos still provide free deposits from any payment method possible. To know what is the minimal amount you can cash in as well as the maximum limit, please contact your casino’s support or read carefully payment section of the site’s FAQ. Online casinos and Euteller : how to withdraw? The only possibility to cash the money out of casino on your local bank is the actual bank account or credit card, but not the Euteller, unfortunately. This is because of the service regulations – it was created to make payments and not to receive them. Effective and well organized system allows payments being processed instantly, 100& safely and in complete anonymity. Almost every online payment method requires the process of registration that can take from few minutes to quarter of an hour but Euteller users are not obliged to register new account at all. The opportunity to save the day when your casino doesn’t allow Euteller payments is a huge benefit for sure. If you face such a problem when you have some amount of money on Euteller account and don’t know how to deposit it – just transfer funds to your regular credit card and choose another payment way. Such advantage is rare nowadays so must be considered as one of the major ones. The main reason why someone can use another payment method instead of Euteller is the absence of the withdrawal function. When you deposit some money in online casino and want to take winning the same way – it’s very convenient but, unfortunately, you can only cash the money in or pay without receiving function. You also must consider that to be able to use Euteller you should be subject to a few rules – you must use only Euro currency, be a client of one of eight Finnish banks, etc..